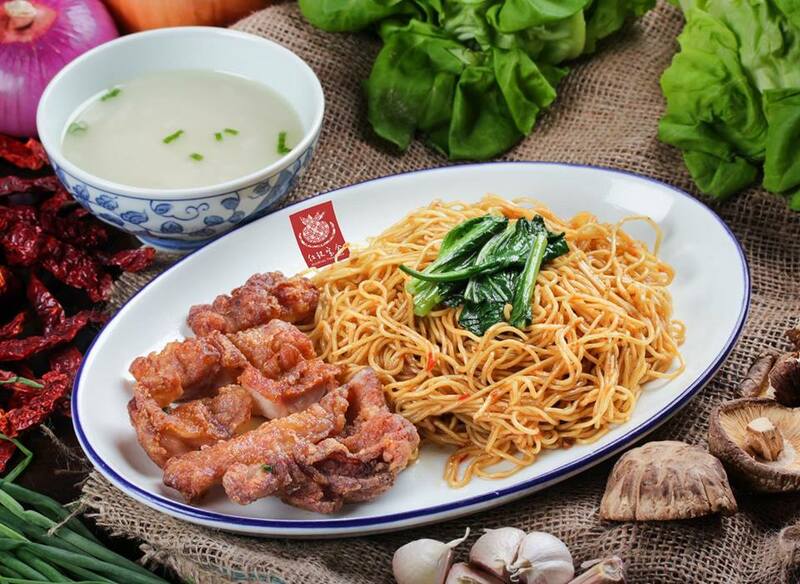 Old Is Gold - 12 Best Food Finds In Mature Estate Toa Payoh! Familiar to most Singaporeans is Toa Payoh, one of the most mature heartlands you can find in Singapore. Some may equate maturity to being old and forgotten, but hidden in this estate are some delicious dishes you can’t find anywhere else. 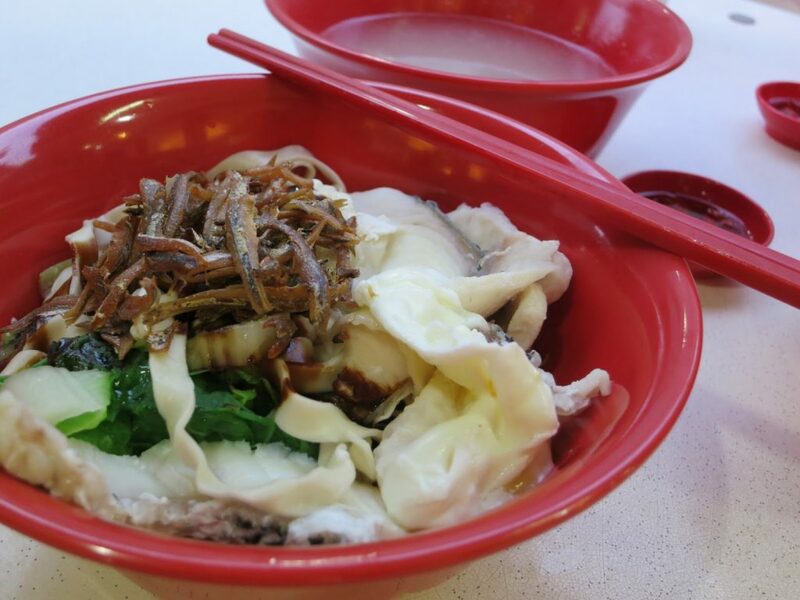 Listed below are our top 10 food picks from Toa Payoh. We don’t know about you, but we think this mature estate has yet to lose its charms. Not only are the stall owners generous with their ingredients, the fresh fish slices served with noodles are often accompanied by with a hearty serving of crispy anchovies and poached egg. For non-veggie fans, you will be pleased to know that you can opt to switch the veggies for extra noodles at absolutely no charge. Do, however, expect to wait up to 20mins for a bowl of soupy goodness during lunch hours! For those craving zi-char or crab dishes, you’d want to check Melben out. 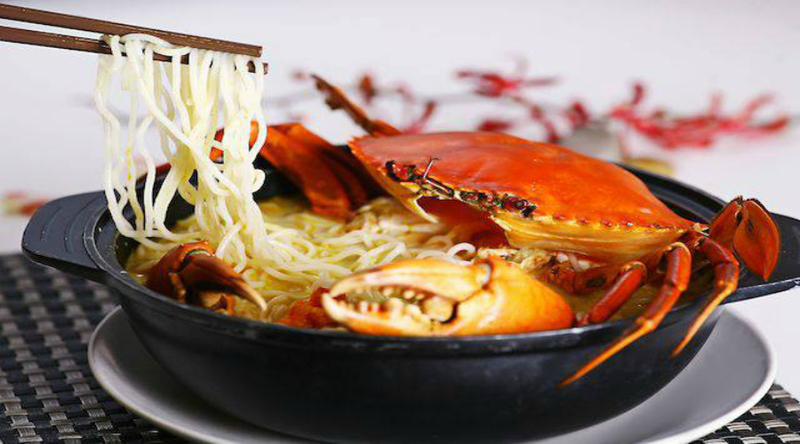 A stall definitely familiar to crab lovers, Melben offers a variety of crab dishes that range from Chilli Crab to its signature Crab Bee Hoon in Claypot ($60). The sweet and savoury milky buttery soup of the Crab Bee Hoon totally had us at the first sip. However, be sure to ration the soup as extra soup comes at an extra charge. The queue can get expectedly long during dinner time so it’s best to either head down a little earlier or to book a table beforehand. 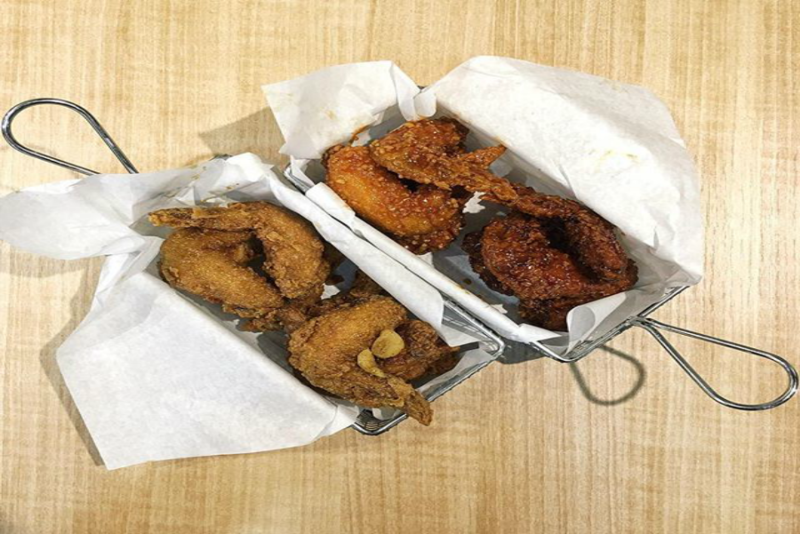 For the K-Pop fanatics, you may have already heard of this Korean fried chicken café. With six flavours (crispy, spicy, sweet, garlic, soy and honey soy) to choose from, the fried chicken ($16 for 8 pieces) here is juicy and flavourful. The crispy version tastes like the average fried chicken but the honey soy (our personal favourite) is a good mix of sweet and savoury; totally worth every sinful calorie! Besides fried chicken, Oppa! 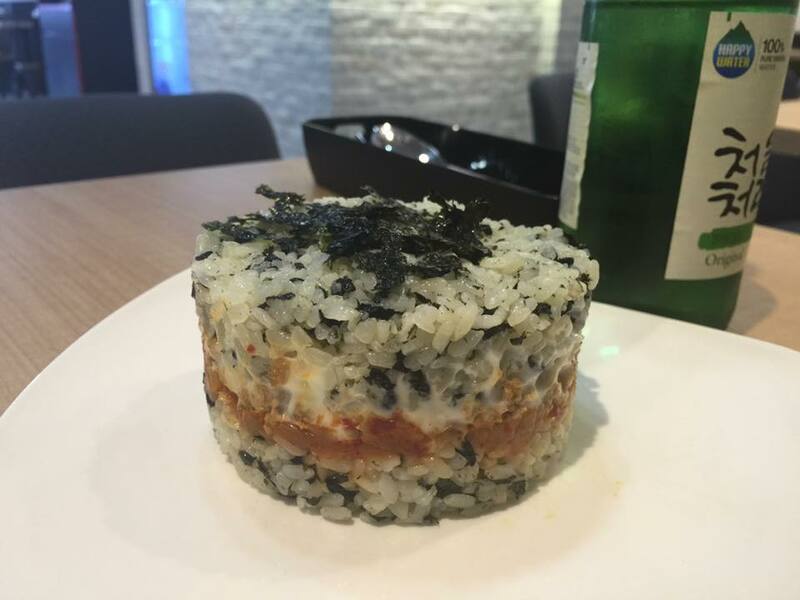 Choo Choo serves a variety of other Korean food such as rice burgers and bingsus. We highly recommend the rice burger with spicy pork ($6.90). Since we’re on the topic of fried chicken, there is another eatery in Toa Payoh that specialises in the dish. 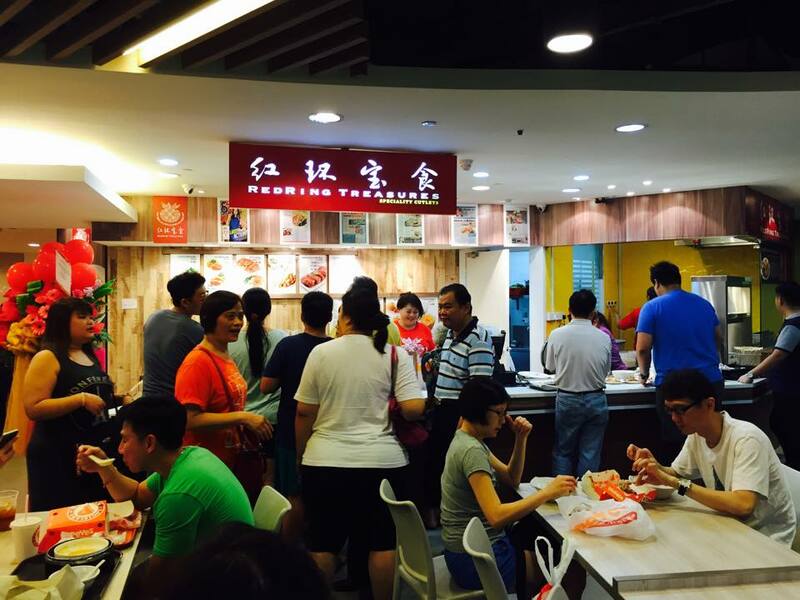 Opened last year is RedRing Treasures‘ Toa Payoh branch. Its chicken cutlet roughly reminds us of Carona Fried Chicken Wing Rice, which happens to be one of our childhood chicken rice haunts. Their crunchy, tender and juicy cutlets are marinated for whopping 24 hours. Each bite is a step closer to food heaven. A must-try is the RedRing Signature Chicken Cutlet Noodles ($4.90). Like the cutlet, the noodles are made in-house. 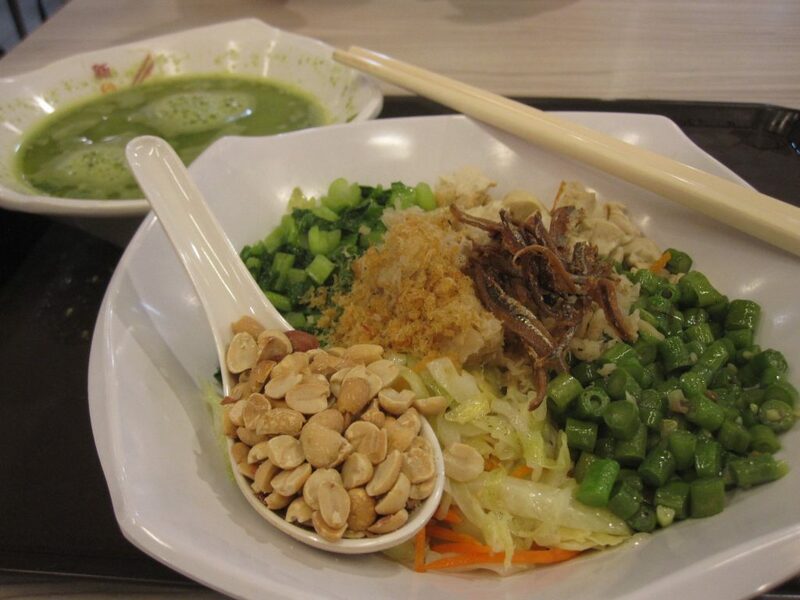 Paired with two kinds of sauces, the QQ (chewy) noodles are sweet and savoury at the same time. 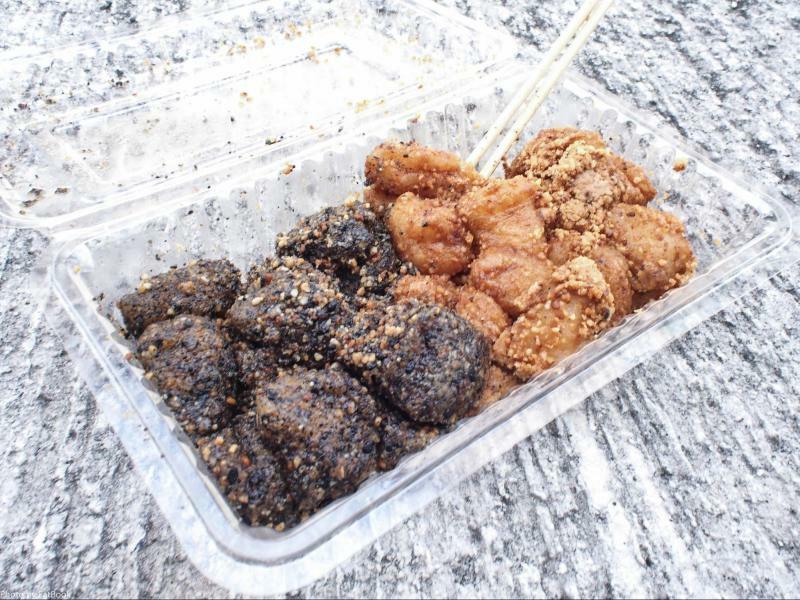 Originally located at Hougang Ave 8, this childhood snack is our favourite of the lot. Though $3.50 for a box of mixed Mua Chee (sesame and peanuts) may admittedly be a little steep, it is arguably the best Mua Chee in Singapore. For the health nuts, you’ll be glad to learn of the existence of lei cha (thunder tea rice from $5). Consisting of mainly vegetables and herbs, this Hakka dish is also a great vegetarian option. Can’t live without meat? Fret not as you can always choose to pair your meal with some side dishes. It may look unappetizing, but the greenish soup that comes with our meal was pretty tasty. Never judge a soup by its appearance, we say. 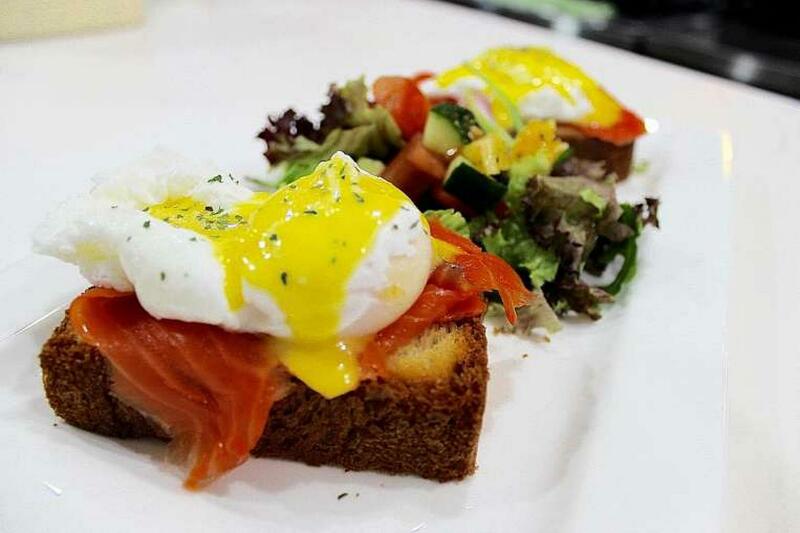 This relatively new café that opened last year has since received raving reviews for its Egg Royale ($11.90), a dish that features two poached eggs atop copious amounts of smoked salmon. The runny eggs and hollandaise sauce complement the brioche perfectly – definitely a great way to start one’s day! They do offer set lunches ($15.90) that consist of a salad, main course and ice cream. For this, we highly recommend getting the Mushroom Aglio Olio as the main course! Do note that set lunches are only available from 11.30am to 3pm. 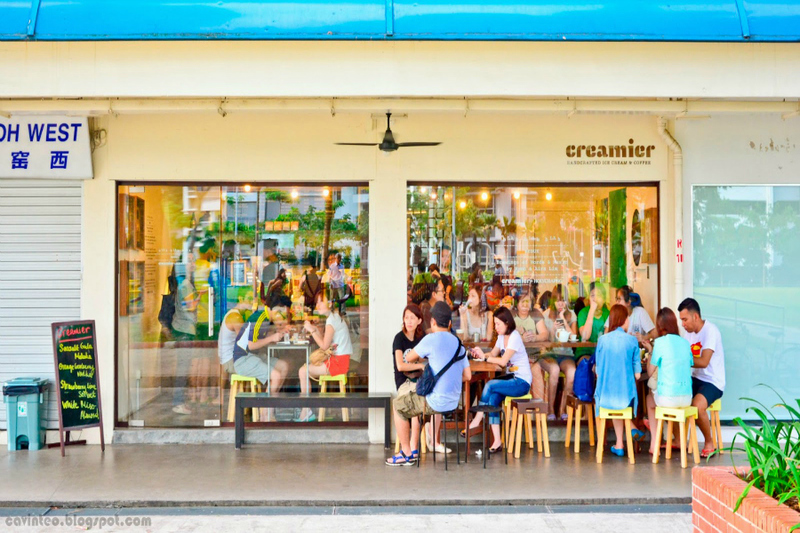 There may be hundreds of waffle cafes in Singapore but Creamier is one of the cafes that has truly won our hearts. 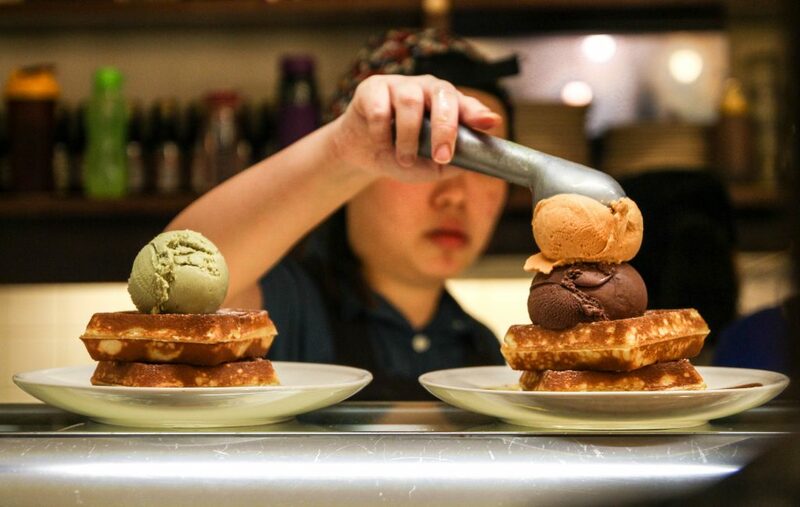 With thick, crunchy waffles paired with a scoop of rich, creamy ice-cream ($8.50), Creamier’s waffles are the way to go. If you are afraid that things may get a little too saccharine for your liking, we recommend getting the Sea Salt Gula Melaka ice cream for that savoury contrast. Like some of the other eateries mentioned, Creamier is insanely popular, especially during the weekends. You might have to wait up to 40mins. So if you wish to get your waffle fix, be sure to head down early! An old school comfort food, we’re sure many are familiar with Char Kway Teow. 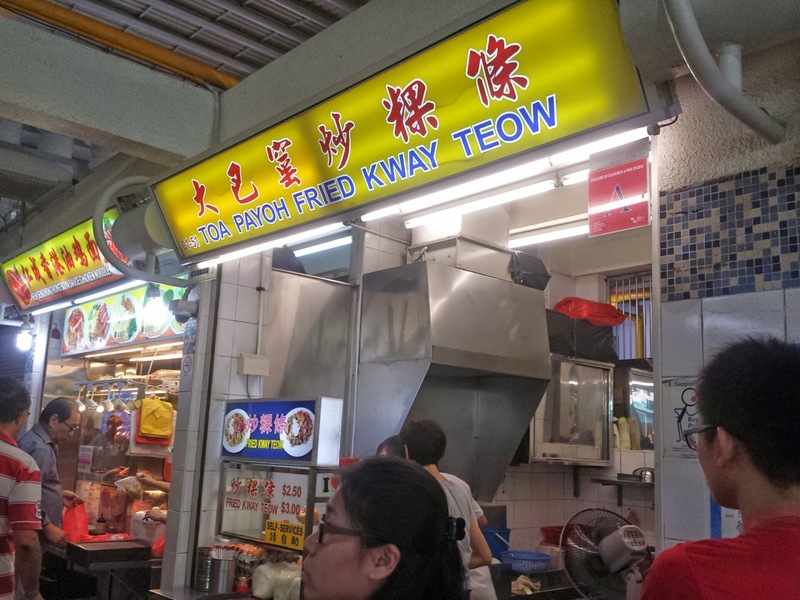 At Toa Payoh Fried Kway Teow, get ready to expect a slightly darker and sweeter version of the dish. The version served at this stall may be closer to Malaysia’s rendition, but we assure you that it is just as delicious. 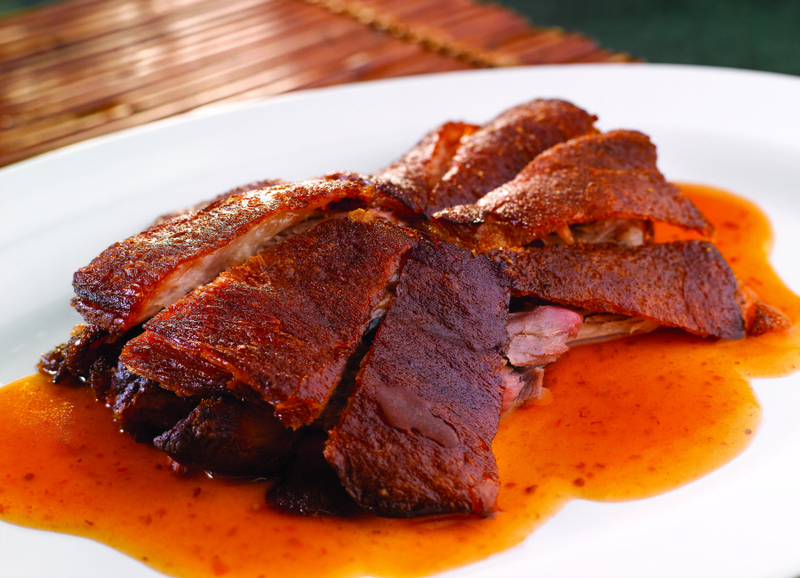 Like what its name implies, Swatow Teochew Restaurant focuses on authentic Teochew cuisine. Recommended dishes include the yam paste and the deep fried crispy pig trotter. It may not be a bakery, but Swatow’s egg tarts are hands down, one of the best we’ve had so far. Speaking of Dim Sum, Swatow offers Dim Sum buffets from 3pm to 5pm daily ($19.80++ on weekdays and $22.80++ on weekends). 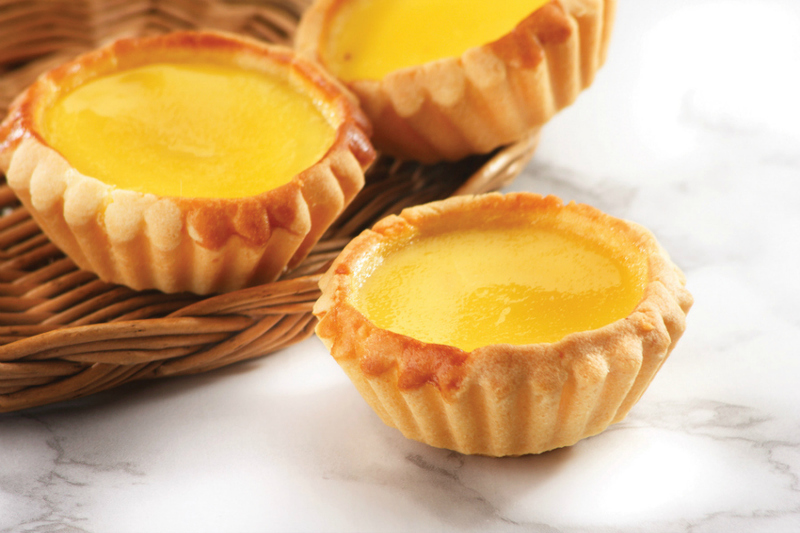 A little tip from us: be sure to get your hands on the egg tarts first as they tend to run out fast! 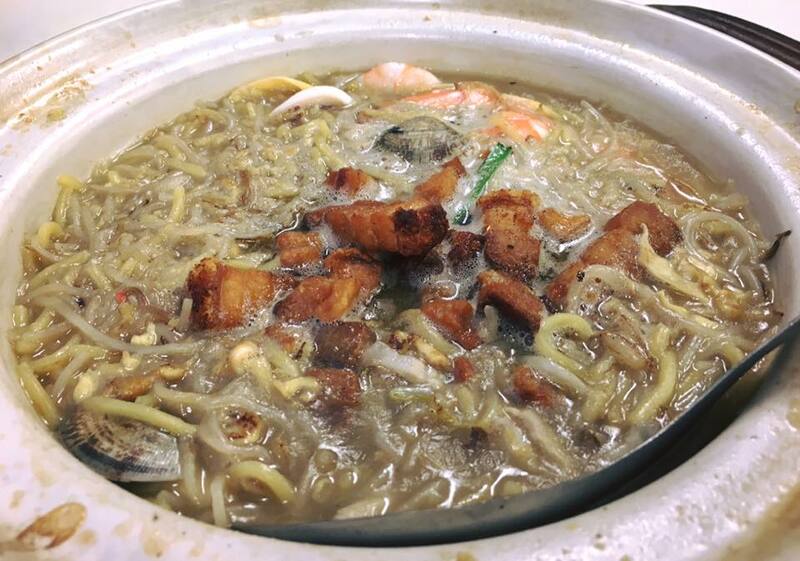 Unlike the usual Hokkien mee, Kim Keat Hokkien Mee serves theirs in bubbling hot claypots. Claypot has been known to enhance the flavours of dishes, but we’re not too sure if the claypots or some other secret ingredient is responsible for the delicious stock of this dish. Besides the usual prawn, sotong, and sio bak (fried pork belly), you’ll find clams in this dish, making the broth slightly sweeter than its counterparts. They do offer the Opeh leaf version ($8) where the Hokkien mee is served on the leaf itself, giving the dish a smoky taste. The broth is not as rich, though. So for those who prefer the slurpy type of Hokkien mee, you may want to stick to the claypot version. Portions here run a little small so big eaters may wish to consider upsizing their meals (from $10 for 2 pax onwards). The chilli may be a little disappointing for chilli lovers but rest assured that the dish itself is tasty enough. Whilst you are here for Kim Keat Hokkien Mee, be sure to also check out Ocean Curry‘s curry fish head ($40), arguably one of the best of its kind in Singapore. The dish may be relatively pricier, but that’s because stall owner Mr Tay uses only the best quality Ang Goli (Gold Band Snapper). We can definitely testify for the freshness of the fish as some of us have had it many times! The curry here is a mix of Indian and Nyonya curry. 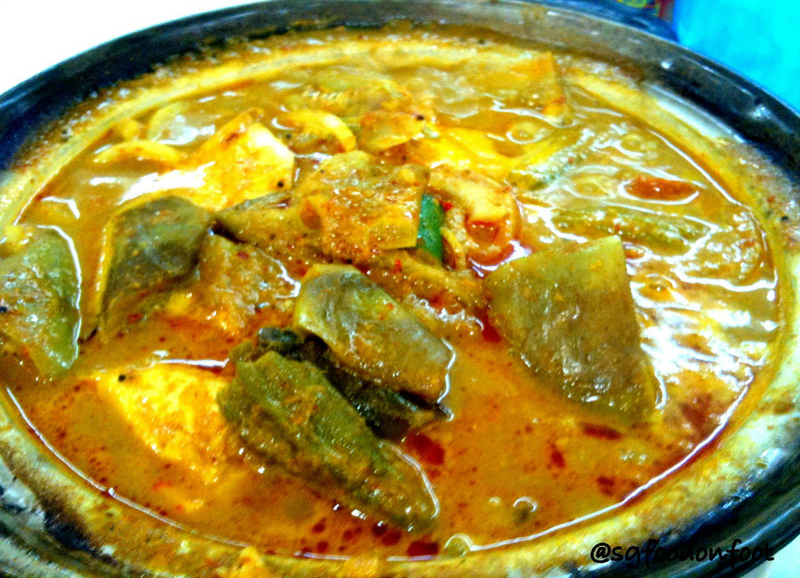 The sweetness of the Nyonya curry marries perfectly with the spiciness of the Indian’s. As you dig in, you’ll be pleasantly surprised to find chunks of fresh pineapple and ladies’ fingers. Besides fish head curry, this stall also serves other zi char dishes like Har Lok ($3 per prawn). 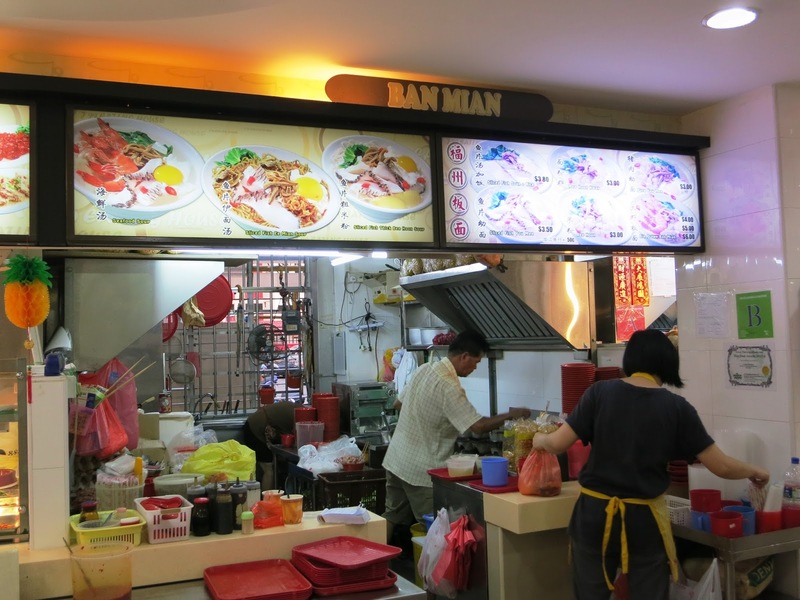 You choose such dishes ala economical rice stall style – dishes are displayed in circular tin plates behind a glass panel. Again, prices are relatively higher than your usual economic rice stall but we say it’s worth every cent. 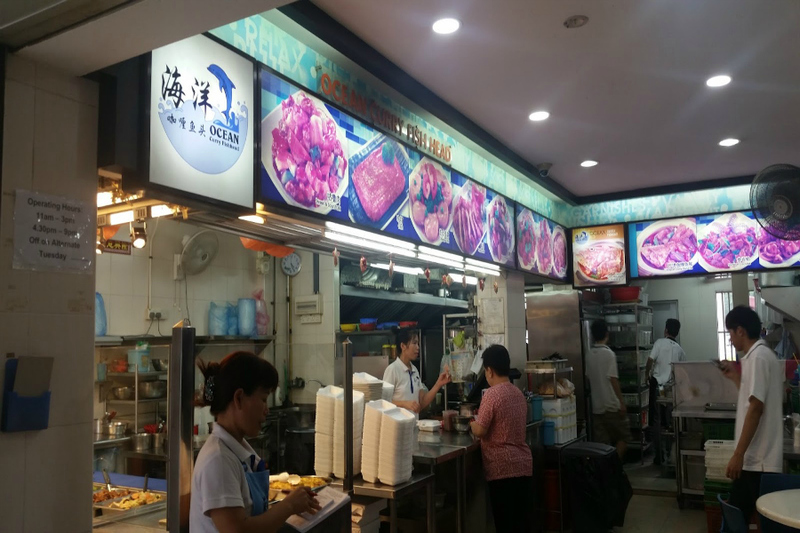 Did we miss out any good eateries in Toa Payoh? Leave a comment and let us know your favourite eats! 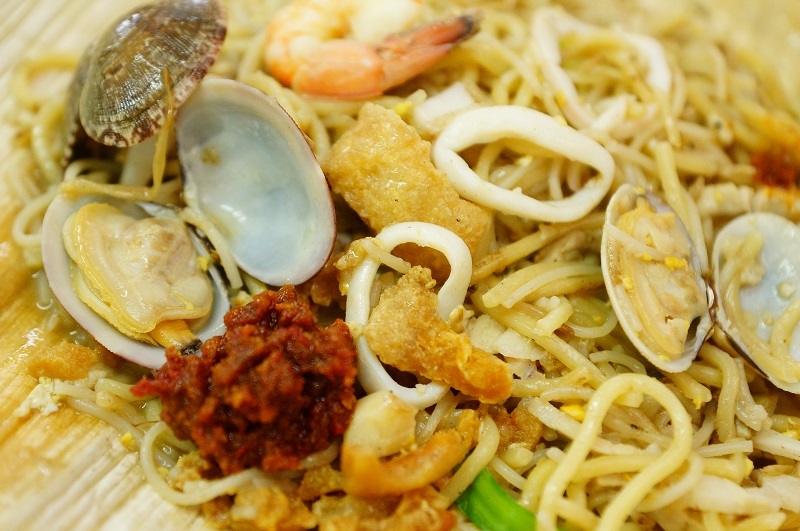 Also, read 8 Geylang Serai Bazaar Street Snacks Worth Braving The Heat For!